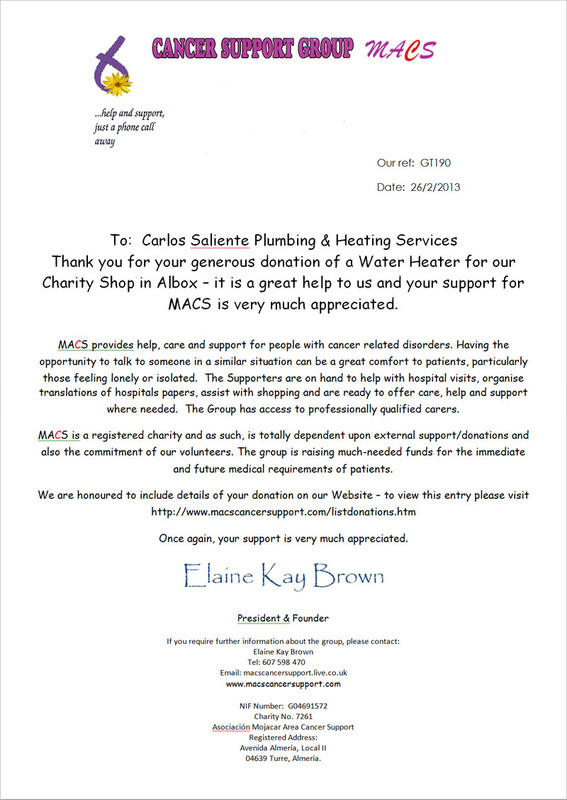 Carlos Saliente is proud to support Mojocar Area Cancer Support (MACS). MACS provides help, care and support for people with cancer-related disorders. 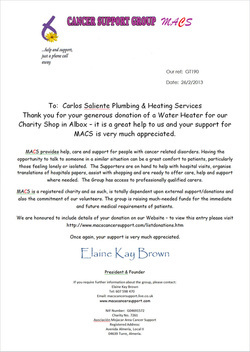 MACS is a registered charity and as such, is totally dependent upon external support/ donations and also the commitment of its volunteers. The group is raising much-needed funds for the immediate and future medical requirements of patients. Please visit www.macscancersupport.com for more information or to make a donation.